The project involves the construction of six new buildings totaling 52,000 s.f. 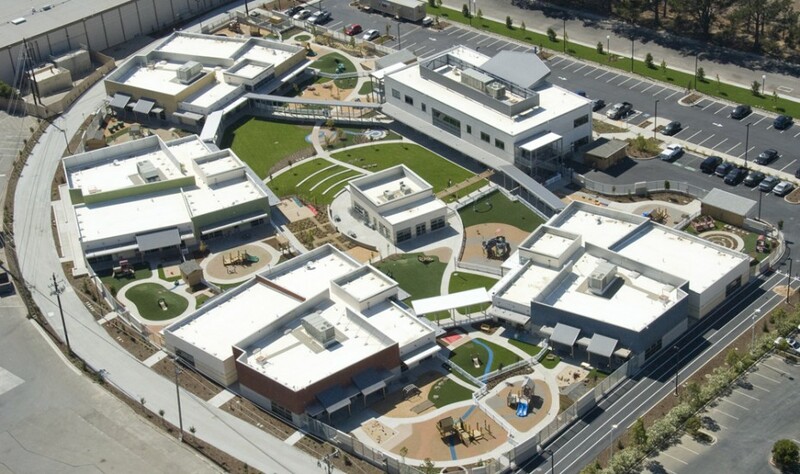 The project includes a two-story administration building, four separate single-story classroom pavilions, a single-story Art and Music Pavilion and extensive playground improvements with smaller storage and service structures. This project was constructed on an accelerated schedule to be delivered in time for the start of the school year. Multiple teams were assigned to the project to facilitate concurrent construction of the multiple buildings. 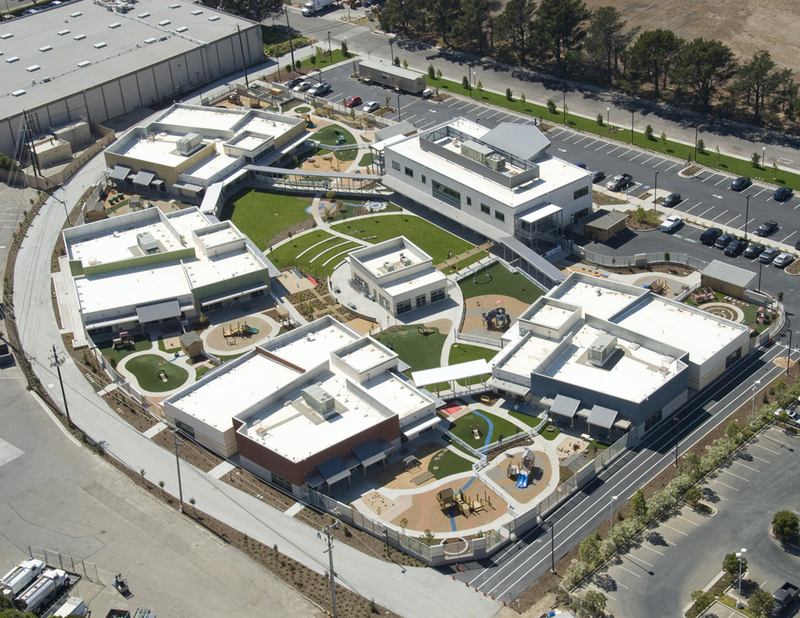 The fast-track schedule was accomplished by breaking the permitting into three main packages: Demo/site work, the administration building construction and the classroom building construction. As the project was constructed on an occupied corporate campus, steps were taken to mitigate dust, noise and heavy construction traffic.